After the Brexit vote and the collective failure to predict the impending earthquake and ‘sign of times’, it would be a mistake to carry on as if nothing had happened. Although the UK is undoubtedly a special case, there is a need to reflect more fundamentally on the state of European integration and its future prospects. Next year’s commemoration of the 60th anniversary of the Treaty of Rome provides a good opportunity to ask some fundamental questions: Where do we stand? What can we expect? What is the biggest threat? And how could we respond? For many years, the EU has been in the grip of a fundamental crisis which has threatened historic achievements of European integration. Despite some remarkable steps forward which would have been unthinkable before the storm struck, none of the complex and interlinked crises that have buffeted the Union have been structurally resolved and the EU and its members are suffering from the collateral damage caused by the poly-crisis: fragmentation, distrust, increased divergence, social and political cleavages, inability to fairly balance national interests, reputational damage, as well as frustration with today’s Union, which affects not only ‘ordinary citizens but also elites. At the same time, the EU has been remarkably resilient. Sixty years on, European integration has become part of most of Europe’s collective DNA. Its benefits, and ever-growing interdependence, would make it extremely costly to abandon or radically scale back the European project. So, given the current state of the Union, what potential paths are open to the EU in the years to come? ‘Muddling through’ remains the most likely path for the foreseeable future. This would not help to sustainably resolve the poly-crisis, but it does not mean a standstill either. It rather implies an incremental step-by-step process driven by immediate pressures, but based on lowest common denominator approaches and without a clear, proactive vision of the future. There are strong arguments as to why a higher level of cooperation and integration, and more discretionary powers at EU level, would be more effective in responding to the challenges facing Europe. But we are unlikely to witness a qualitative leap forward any time soon, given the fragmentation and distrust between member states and the negative public climate in most EU countries. But will ‘muddling through’ be enough? To answer this question, one needs to take a step back and pose a more fundamental question: what is the biggest threat facing Europe and what are the key factors fuelling it? What is at stake is much more than the EU itself: it is the danger of a regressive and illiberal Europe – a Europe in which key values, orientations, norms, and principles are being undermined. A Europe that becomes increasingly nationalistic, protectionist, discriminatory, xenophobic, intolerant and authoritarian. A Europe that is backward- and inward-looking, more inclined to oppose globalisation, trade and exchange, migration, heterogeneity, cultural diversity, self-determination, and the principles of an open society. A ‘closed Europe’ in which the influence of those advocating simplistic solutions to complex challenges is increasing, with their political rhetoric and ideology framing or even dominating the public discourse. The key trend that is playing into the hands of those who advocate this type of Europe is the increasing polarisation of our societies. Divided societies are the fertile ground on which extremists and populists on all sides of the political and societal spectrum thrive. They are the basis upon which they can develop an ‘us versus them’ logic that undermines cohesion within and between our societies: ‘us’, the champions of honest (native) ordinary people against ‘them’, the corrupt elites (‘the establishment’), including the EU. The main dividing line is between the (potential and perceived) ‘winners and losers of change’. This polarisation is fuelled by multiple insecurities in an age of massive transformation; not ‘only’ socio-economic, but also societal and cultural, generational, technological and security insecurities. Growing numbers of people (including the middle classes) feel overwhelmed by the pace of change, fearing future marginalisation. ‘Zukunftsangst’ (fear of the future) and the ‘politics of fear’ are the result of these multiple insecurities. This leads to a growing spirit of ‘anti-cooperation’; a spirit which, at all levels of political life, makes it more and more difficult to forge compromises. An increasing number of citizens no longer see the benefits of cooperation, but are increasingly inclined to either withdraw from traditional political processes or to ‘stand up’ and protest against the establishment. They become Wutbürger (angry citizens) searching for an outlet to express this anger and attracted by nostalgic, simplistic and counter-factual arguments. In this climate, traditional political forces are increasingly squeezed. The mainstream struggles to present a credible and proactive counter-narrative. Simplistic rhetoric and radicalism are infiltrating, guiding or even dominating the discourse. Many arguments which were previously considered unthinkable and unsayable become socially and politically acceptable, publicly expressed and multiplied by traditional and new social media. The result is a radicalisation and brutalisation of debates, which further deepens societal divides, playing further into the hands of populists and extremists. Nationalism, authoritarianism, illiberalism, polarisation, Zukunftsangst, the politics of fear, and anti-cooperation are not just European phenomena. A glance across the Atlantic shows that. However, the EU is much more vulnerable to the populist onslaught. It has become a popular ‘punch bag’, an easy target and prey. But the EU is not really the main concern of many of its attackers. They use opposition to European integration as a vehicle for their ultimate objective: to strengthen their influence and power at home. · First, while the key means to counter the polarisation of societies lie at national level, the EU has a decisive role to play, by focusing on delivering a ‘Europe of results’. However, given the limits to the powers, competences and instruments allocated to the European level, it must be careful to avoid creating false expectations. It must not fall into an ‘expectations-capability trap’ which Eurosceptic forces can use against it. It should concentrate on projects and initiatives where it can deliver results that make a tangible difference. Frantic measures launched simply to show that the ‘Union’ is doing ‘something’ should be avoided. This is not about ‘less Europe’ but about a more effective, realistic and credible EU. · Second, democratic forces committed to an open, values-driven Europe need to find ways to protect citizens from the negative aspects of globalisation while abiding by Europe’s fundamental principles and values when dealing with the outside world. They have to counter the perception that the EU is an agent of unfettered globalisation. Attempting to conceal the some of the obvious negative consequences of more integrated global markets makes no sense. But it is also true that Europeans have profited immensely from expanding markets and economic development in other parts of the world. Pro-European democratic forces need to find ways to combine the benefits of open markets with the requirements of a social-market economy. If they fail, anti-EU and anti-liberal forces will prevail and the resulting polarisation between the potential and perceived winners and losers of changes will further play into their hands. · Third, if democratic forces, who oppose a regressive and illiberal Europe, want to counter populist rhetoric effectively, they must demonstrate the benefits and obligations deriving from belonging to the ‘European club’, which should also determine the EU’s negotiating stance with the UK. They should avoid blurring boundaries between EU and non-EU countries, motivate non-euro countries to join the common currency and ensure that all EU countries adhere fully to the Union’s fundamental rights and democratic values. Exceptionalism is not the way forward. To strengthen the arguments in favour of the EU and to weaken anti-European arguments, there rather is a need to enhance the ‘club logic’ of the Union: the full range of opportunities and protection provided by European integration can only be enjoyed if you are a full member. 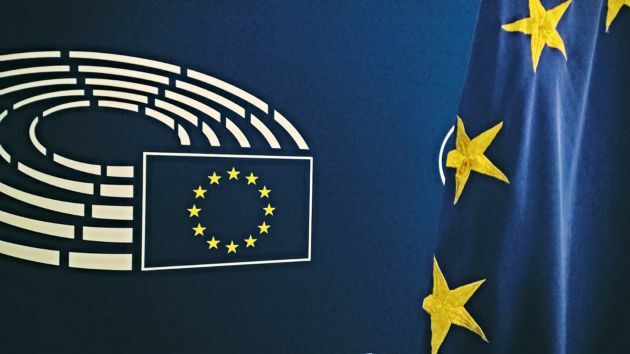 · Fourth, national pro-European democratic forces and their leaders should: offer a forward-looking counter-narrative, explaining why European integration is a ‘win-win’ from a national perspective; mitigate the multiple insecurities fuelled by the crises through concrete actions aimed at enhancing the ability of societies to deal with change while balancing the distribution of wealth; and end the habit of blaming ‘Brussels’. They should do all of this not for the sake of the EU, but out of enlightened self-interest. They must have the political courage to explain the virtues and benefits of an open, tolerant and diverse society, making it clear why such societies will ultimately be better able to deal with the forces of change in an increasingly interdependent European and global environment. The ‘blame-Brussels’ game merely strengthens those who argue in favour of a much looser and disconnected Europe, and tends to increase support for populist forces. European integration is in deep crisis but the origins of that crisis lie deeper and challenge more than ‘just’ the European Union. If polarisation cannot be halted and the insecurities fuelling it are not addressed, the EU could become its first prominent victim. But the loss will be greater than the disintegration of an international institution. At the end of day, it is not about the EU but about something much more significant: it is about our way of life; it is about being open, cooperative, inclusive, free, and internationalist societies. The biggest loser from Brexit will be Germany of course. More than half of the German trade surplus is comprised from 3 country sources: France, UK and USA. In your reply you continue to make the same mistake of comparing a trade bloc (EU) with a country (UK). You can't do this. Insisting on such mistake shows a fundamental misunderstanding on your part of how trade works. Trade post Brexit will continue between the UK and EU member countries with a notable difference: tariffs will be imposed by both sides. If tariffs imposed on German products slow down UK consumption then that's a positive for the UK and a negative for Germany. In fact there is no other word in the English dictionary that scares a trade junkie like Germany more than tariff. All you have to do is mention tariffs to Germany and watch them spin out of control. As far as some decisions of Japanese automakers involving relocation is concerned that is not something a sovereign nation like the UK would allow to dictate British foreign policy. If the Japanese are scared and uncertain then they can use Ireland as an intermediary destination to accomplish the same thing (ship the auto exports to Ireland and from there to the EU with zero restrictions). There are creative ways about silly accounting problems you know. And if Ireland is not a solution for the Japanese then tell them to start packing. "Our way of life" that the authors describe arose prior to the EU and stands a reasonable chance of surviving the EU's demise, not being dependent upon that institution. The EU's inability to act effectively, relying upon the "muddling through" approach, means its problems will likely become more acute, none moreso than those flowing from its inability to foster a European demos sufficient to provide it with legitimacy. This article is a bit academic, in the sense that it seems to utilise list mode to indicate the scope of issues, but overall is quite good in reflecting on the lessons of Brexit for the rest of the EU. Dean Plassaras's comment is a bit weird - but he might have a point in terms of what the Tory Right are thinking. Yes, as a country the US receives the largest share of UK exports ($51bn), but collectively the EU dwarfs that ($110bn for Germany+France+Holland). As far as imports are concerned the UK receives the largest share from the EU ($192 bn for Germany+France+Holland), which again dwarfs the US ($44 bn) and China ($60 bn). The imports and exports with the EU reflect, of course, the degree of cross-EU integration of supply-chains for a lot of UK businesses of any significant scale - for example the car industry. This, of course, is one of the principal reasons why hard-Brexit will be so damaging to the UK economy - with the prospect of an eventual disintegration of this network of supply-chains to be replaced by some sort of autarkic fantasy economy. Dean, it was you that made the comparison between Europe and the United States as trading partners and it was to this that I was responding. Secondly, I agree that the EU could lose more in absolute terms, but not in relative terms - taking into account the respective sizes of the EU and UK economies. But, this is not the main point. It is not a zero-sum trading game we are talking about here, but a case of moving from a win-win economic strategy to a possible lose-lose economic strategy - and the major loss is more likely to be on the UK side. The main matter of concern is the potential relocation of UK based businesses - which are not necessarily UK owned - to mainland Europe in order to retain existing EU-based supply chains and maintain preferential access to the EU single market. Japanese businesses which have invested in the UK have made this patently clear through a detailed paper produced at the recent G20 summit in China. It is this that is the main cause of concern for the UK economy as an inevitable outcome of hard-Brexit. I think your comment is weird regarding who stands to lose in the Brexit case and that is clearly the EU. You numbers prove this. By the way you don't compare a country vs. a trade zone but a country vs. a country. If you want to compare a trade zone vs. a trade zone then the EU vs. NAFTA might be appropriate. But you can't compare the EU vs. the US or the EU vs. UK because if you did this you would be comparing apples to oranges. The EU has far more to lose from Brexit than the UK because the UK will continue to trade with the EU and the EU with the UK with some tariffs of course which would result in a net loss to the EU since it's the EU that exports more to the UK rather than the other way around. One clarification on Brexit if I may. The real story about Brexit is not about exiting Europe. It is about the relationship between Britain and the United States. Britain’s number one trading partner is not Europe, it is the United States. And the United States and Britain have an incredibly close relationship on the military level, on the intelligence level, and other levels, and economic as well. The close relationship with what we call the Five Eyes. The Five Eyes that are allowed to see the deepest secrets: that is Britain, Canada, Australia, New Zealand, and the United States. The Five Eyes function well and if the British came to the Americans and said look, we want to have a free trade agreement with you, how could the US say no? And this is the real debate going on in Europe that most of the press hasn’t picked up. It is not about for the Brits, do we want to be in Europe. It is, do we want a closer relationship with the United States or with the Europeans, and in a way, it doesn’t matter how the vote goes. That relationship with the United States will develop even more.